Midwestern hospitality, vibrant neighborhoods, architecture and a city with its eye on the prize for being the most bikeable in the U.S. are why we chose Chicago as a pilot city. Bikabout's city guide has biking tips, routes curated by locals, and logistical resources you'll need to wander Chicago by bike. Chicago is the third largest city in the US, whether you count just the city limits or the surrounding metropolitan area -- only New York City and Los Angeles are more populous by either definition. And in that vein, Chicago has much of the structure, bustle, and expanse of those two larger cities. Chicago shares their scale, and biking through its center one is constantly reminded that this is a massive, urban machine, complete with the frantic cabs, throngs of tourists, and sweeping public green spaces that are so often the hallmarks of only the largest, densest cities. Fortunately for the would-be visiting cyclist, Chicago has also benefited from Mayor Rahm Emmanuel’s serious focus on improving Chicago’s biking infrastructure. They have a well-developed network of bike share stations, and they should have 100 miles of dedicated, separated cycle track any second now (if they don’t already), with a master plan that calls for a whopping 645 miles in total! Combine that with the stunning lake-front path that offers miles of car-free water access and beach-side food and drinks, and you have a compelling bicycle-friendly destination that will only improve with time. 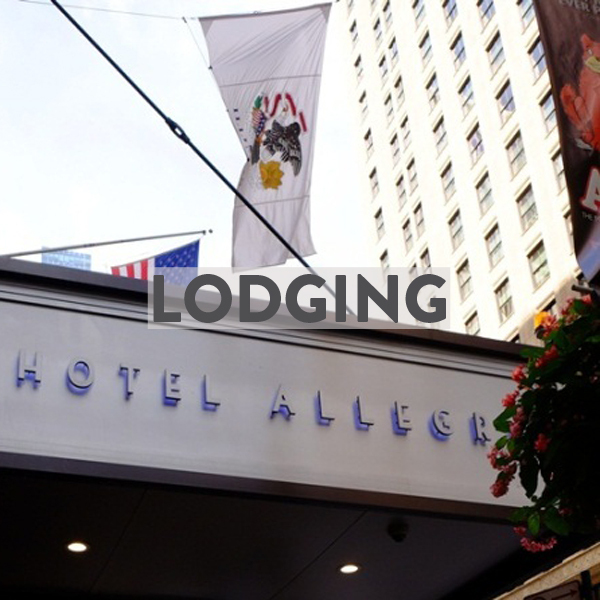 Chicago is a cultural blend of the big east coast cities it has always competed with, and the laid-back mid-western farmland that surrounds it. We didn’t notice any one form factor of bike dominating the scene, though we did marvel at the frantic pace of the morning bicycle commuters going to work… the passing was frequent and furious. The lakefront paths are almost always heavily populated by people walking and rollerblading, so do not expect to carry a lot of speed there, and be patient / use your bell. During the rush hours, don’t take the preponderance of shoaling personally (when people scoot up in front of you to leave the light first). When you’re on the sidewalks, you must walk your bike, ESPECIALLY in the business districts. Front white light and a red rear reflector are required, and helmets do not appear to be. Full lights front and back and a helmet remain a good idea, especially in a new city. Those over 12 years old are not allowed to ride on sidewalks so if a street feels unsafe, walk your bike on the sidewalk. Once Chicago moved to consolidated electronic parking meters at the ends of its blocks and removed the pole-style meters between every other space, it lost the majority of unofficial (yet secure) bike parking in many areas overnight. What remains is often only “sucker poles,” which are street signs that can very easily be lifted out of their base, allowing the thief to slide your lock off the pole, replace the sign, and quickly ride away with your lock still attached to the frame. Bike theft remains a serious problem in Chicago, and you are strongly advised to bring your bike inside at night, and to lock it to something substantial, even if it means walking a block away. 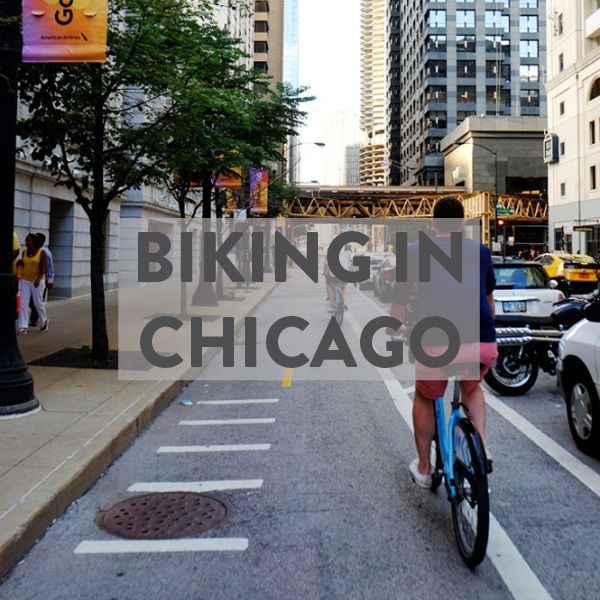 These routes were curated by local Chicagoans who wanted to share their #BestBikeRide with you. Print off the map for free! Heritage Bikes - boutique bicycle shop specializing in custom bikes, accessories and coffee! We're constantly updating this list of our favorite bike shops, coffee shops, restaurants, museums, scenic vistas, playgrounds, ice cream, microbreweries and more in Chicago! Follow Bikabout's board Bikabout Chicago's Airbnb on Pinterest. Chicago Transit Authority - 100% of buses have bike racks. 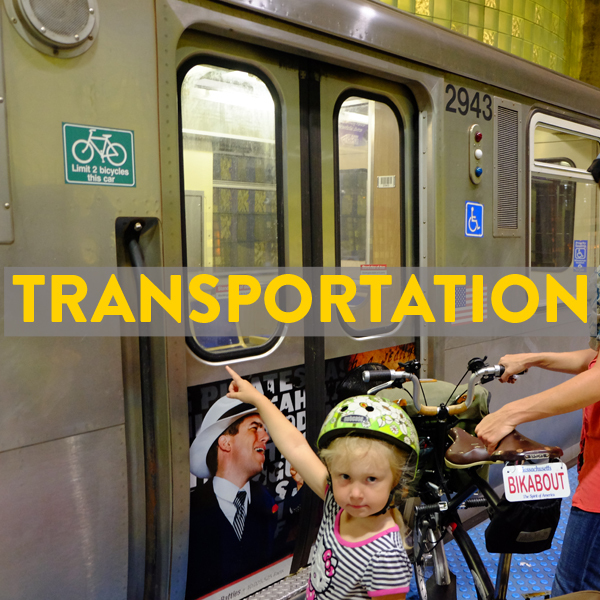 Bicycles are permitted on all CTA trains (The 'L') every day, except during weekday rush periods (7:00 a.m. to 9:00 a.m. and 4:00 p.m. to 6:00 p.m.). Metra Rail - For 2014, bicycles are permitted on all weekday trains arriving in Chicago after 9:30 A.M. and leaving Chicago before 3:00 P.M. and after 7:00 P.M.
Chicago Water Taxi - Bicycles are allowed on the boats in off peak hours (10am - 4pm) on the weekdays, and all hours on the weekends. Bikabout donates 25% of annual revenue to local advocates. You, too, can power better biking in Chicago by becoming a member of Active Transportation Alliance below!